If I’ve been a little quiet on the blog recently, it’s because I’ve been spending a lot of time involved in an investigation into the Olympic torch relay over on Help Me Investigate the Olympics. This entry was posted in data journalism and tagged adidas, Guardian, help me investigate, Olympic torch relay, olympics, Telegraph, torchbearers on June 28, 2012 by Paul Bradshaw. You can now subscribe to the Online Journalism Blog through the Kindle Store. UPDATE: Also on the US version of the store. This entry was posted in blogging and tagged kindle, Online Journalism Blog on June 27, 2012 by Paul Bradshaw. The second in a new series of Hyperlocal Voices looks at the Port Talbot MagNet, a not-for-profit community co-operative which has been set up to provide a local news and information service to the people and communities of Port Talbot. Board Member Rachel Howells took time out to reflect on developments since their launch in 2010 and to tell Damian Radcliffe about some plans for the future. Port Talbot Magnet was started in 2010 by seven professional journalists from South Wales who had all been casualties of redundancy or cuts in freelance budgets in established magazines and newspapers. First and foremost, we are a workers’ co-operative, but we are also a social enterprise and so we are keen to ensure we a force for good in the community. Two and half years on, we still have seven directors, as well as around 20 co-op members and lots of volunteers. As NUJ members, we found ourselves sitting in so many meetings talking about cuts and closures and it felt sometimes like the local media industry was falling down around our ears. When redundancy hit most of our local Union branch committee we decided that we would do something proactive about the situation to try to ensure good quality journalism was still a viable, sustainable career. As we were setting up the co-operative, we heard that the weekly newspaper in the town of Port Talbot was closing and it seemed an obvious gap for us to try to fill – here was a town of 35,000 people without a dedicated newspaper and here were seven out-of-work journalists who could supply news. Making the one pay for the other was, and in many ways still is, the problem. The blog came along much later. Our first ambition was to go into print and we spent about a year applying for funding and trying to get the project off the ground in some way. The funding applications weren’t successful unfortunately, and we had a crisis meeting where we decided to change tack and concentrate on what we did best – journalism. This turned out to be a good move, because we could show what we were capable of; people suddenly understood what we were trying to achieve. In a more practical sense, we had no capital apart from donations from the directors and so we set up a WordPress blog, paying a modest amount for a theme, and we got in touch with local companies and the council and asked them to put us on their mailing lists for press releases. Then we spent lots of time learning the patch and making contacts. Facebook has been a particularly good way to reach the online community in Port Talbot (not many are using Twitter yet), and drives about half our website traffic. We set up our own crowdfunding model called Pitch-in! which was hugely influenced by Spot.Us, although we changed the idea a bit to suit a more hyperlocal audience. I love what Spot.Us has done to empower freelance journalists and as this was at the heart of our enterprise we have been really keen to offer this as a service to our members. We would like to be more like one, I think, but we don’t have the resources at the moment. As we are so reliant on volunteers we don’t have the consistency that a traditional newsroom can offer – for example we can’t always cover local council meetings because our volunteers have other commitments as well. But I think we all believe in the principles behind traditional newsrooms and the power they have to be a force for good in the community as a watchdog or a voice. For right or wrong, journalists can ask the questions that perhaps get ignored when members of the public ask them, and even with our limitations we are able to perform this aspect of newsroom journalism. In future we hope we will become more sustainable so we can pay journalists and operate a more professional service, but this will always be in co- operation with the local community. We always have a day every week where people can call in to the office and speak to us, which is what all local newsrooms used to do. Aside from launching the website in the first place, a successful system has been our ‘editor of the week’ rota, which has seen a team of five journalists taking it in turns to supervise the website, commission volunteers and respond to emails. This has meant there’s always been a clear point of contact every week and that things don’t get missed. Another big milestone has also been paying journalists for their skills, which we have started to do in the last few months. So far we’ve only been able to pay for court reports but we plan to do more of this as finances allow. We get a consistent 3,500 unique visitors every month now, which has more than trebled in a year. We have seen some great peaks around some of our coverage, too – notably stories about The Passion, a landscape theatre production which took place in Port Talbot in 2011 and starred locally-raised Hollywood star Michael Sheen. We have also had great responses to our coverage of protests and campaigns, crime and local elections. The lack of funding and the lack of resources. Three of our seven directors have full time jobs, one has failing health and the other three have freelance or other commitments, and so progress can sometimes be frustratingly slow as we try to recruit or train volunteers and manage the website, finances and keep our contacts live. But we are still here, and the project continues to chalk up successes. I think our coverage of The Passion was pretty impressive. We had twelve volunteers covering the three days of live theatre and we produced a hugely comprehensive mix of written reporting, photography, video and audio – some of which we still haven’t had time to edit and upload to the website more than a year on. It was a unique production that took place all over the town in both scheduled and unscheduled performances, and therefore a unique challenge to cover it all. I think our archive shows how daunting a task it was and how well we worked as a team to do it. I don’t think any other media outlet managed the comprehensive coverage we produced. I look back at it now and wonder how on earth we managed it. There was an anniversary exhibition over Easter which commemorated The Passion and, in partnership with National Theatre Wales, we produced the official souvenir programme for it. This was our first foray into print, and we made a modest profit from advertising. It showed us that going into print would be an obvious move in the future, and so now we are developing ways we could make the website work alongside a printed news-sheet. More generally, we would like to keep growing, pay journalists and establish a sustainable model that could benefit other communities who are facing similar ‘news black holes’ following the death of a local newspaper. This entry was posted in blogging, online journalism and tagged co-operative, community, crowdfunding, crowdsourcing, Damian Radcliffe, Hyperlocal, Hyperlocal Voices, Port Talbot, Rachel Howells, spot.us, Wales on June 22, 2012 by Paul Bradshaw. In the UK the relationship between journalism schools and news organisations has largely been a supply chain of newsroom-ready graduates. As universities and training bodies like the NCTJ, BJTC, PTC and Skillset expanded, news organisations scaled back on their own training budgets. But the changes in the industry outlined above threw a spanner into that supply chain, in two key ways. 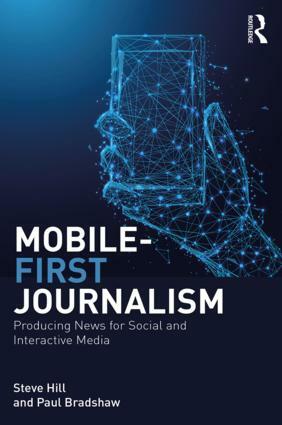 Firstly, the chain was based on an assumption that the news industry – and specifically senior figures within it – was best placed to know what skills it was going to need in the future – but it quickly became apparent that they didn’t. Accreditation documents that barely mentioned online skills – or that reduced it to web design or broadcast-style video – didn’t help. Cultural battles that dragged on for years – over the validity of blogging, citizen journalism, SEO, and innumerable other innovations – didn’t help. And the fact that the industry itself didn’t appear to have the skills to solve its problems – or know what skills would – didn’t help. Universities faced an uncomfortable truth. It was increasingly clear that to serve their students properly they needed to teach skillsets that were in demand in the growing online media industries. But those industries were not the ones formally shaping their curricula – nor the ones that students even knew existed when they applied for the course. Should they continue to teach the courses that sold – knowing that there was a good chance that graduates would be less employable in a few years’ time? Supplier of cheap labour – or incubator? Alongside the issue of curricula was another development. Student work experience, when scaled up to the numbers at which journalism courses were now operating, had become a significant part of the way the media industry worked. As the workforce thinned there was the potential for that contribution to reduce the number of jobs available to graduates of the same courses. In other words, while work experience may be useful for the individual student, it would also reduce the opportunities open to the same student in the jobs market. The whole concept of work experience was also based on the same supply chain logic. It wasn’t designed to adapt to a situation where graduates were ‘expected to teach the news industry’ (which isn’t to imply that the exchange is only in that direction either). It was designed largely on the basis that students would either perform an existing role while the occupant was on leave, or fill the gaps in another role – either of which may be redundant in a year. Was this the best way to serve both journalism students and the news industry? Again, it may have been when the numbers were lower and the industry better defined. But could that student workforce be used in a way that would better benefit both the student and the news industry? What benefits both student and industry most? In my own course I tackled this by designing the ‘work experience’ element as a consultancy, tackling a specific problem for a client (media organisation, or other organisation with a media element) through the research and practical skills that a student develops in higher education. This helps the organisation explore possible new streams of revenue or content which could help create new jobs. It helps the student develop unique knowledge and skills that can help them stand apart from others, in partnership with experienced journalists and publishers who can provide valuable insights too. This process could be scaled up to see groups of students exploring industry problems. There are other possibilities. At UCLAN Francois Nel has been developing the MADE project to help develop media and digital enterprise. At the Oxford Institute they are working on a range of industry problems (although it’s not clear how involved journalism students are). At Birmingham City University the university provides facilities to students launching their own enterprise. At City University London and at CUNY students pitch entrepreneurial ideas to potential investors. Could universities – with their access to funding, infrastructure and business networks – do a lot more in this regard? Might it be one of the new areas where they can claim a gatekeeping role (although Kickstarter and other fundraising platforms still offer alternatives)? 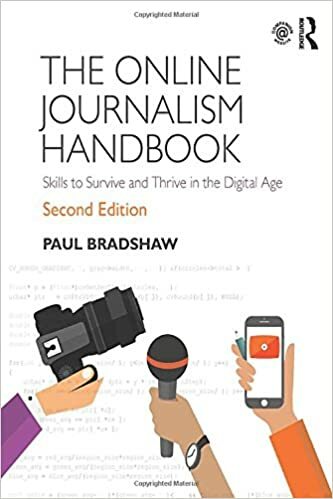 In the final part of this series I will try to list some of the ways that journalism training is trying to change – can you add any? This entry was posted in blogging, online journalism and tagged bcu, Francois Nel, Oxford Institute, UCLAN, work experience on June 8, 2012 by Paul Bradshaw. Yesterday, in the first part of this series, I talked about how changes in the news industry were reflected in changing journalism education. In this second part I want to look at an area which is discussed much less: how education itself is reacting to changes in information – and how educators, like journalists, are no longer gatekeepers any more. The internet did not play any role in my time as an undergraduate. That meant that lecturers performed a ‘gatekeeping’ role very similar to journalists: acting as the main source of feedback on work, and the people who determined what books and journals were stocked by the library. Information on the journalist’s craft was limited to a few mass market books; a couple dozen textbooks equally limited by their potential markets; what students picked up on their own work experience; and their tutors. Just like journalism, the information environment in which education takes place has changed utterly. Students can read a hundred blogs by journalists in an enormous variety of roles and industries that would never catch the eye of a book editor. They can contact journalists much more easily – and read the results of other students’ contacts with journalists. They can gain feedback on their work not only from general news reporters, but specialist correspondents, from experts in the field they are covering, community members, and anyone else with an opinion. They don’t need to book out a camera or visit a darkroom (as it was then) to take photographs; a camcorder to film; a marantz to record audio; a studio to broadcast. As educators we are no longer the gatekeepers to information, the gatekeepers to people in the industry, or gatekeepers to the means of production and distribution. We can provide all of these things and make all the arguments we want about the quality of that access – but, like the news industry as a whole, are no longer the only ones. The only thing we are gatekeepers to, in fact, is accreditation of individuals’ learning. And yet journalism education – and training too – is still framed within that gatekeeper’s offering. More importantly, many journalism students come into higher education with the same expectation, instilled during earlier schooling: that education consists largely of having gates opened for you by experts, and clearing the hurdles to walk on through. When higher education – and information – was limited to a small part of society, that may have been a valid expectation. But as first higher education access was widened, and then information access, this has become unsustainable. We are operating in an information-rich environment. And so, like the news industry, we need to reformulate what role we play in that: moving from gatekeeping and transmission models to one involving aggregating and curating, challenging and verifying, and providing platforms for connection and investigation. Like the news industry, our role becomes less that of transmitting information and more one of saving time, improving accuracy and guaranteeing quality. What Axel Bruns called gatewatching. The first step in that process involves debunking the transmission myth that students arrive with. 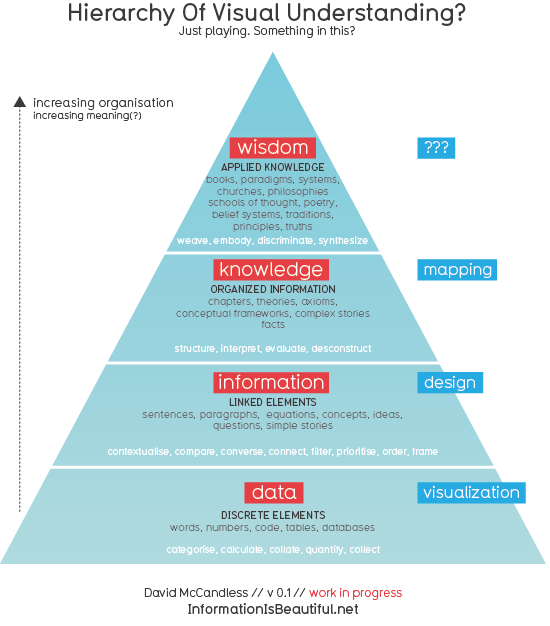 There’s a reason why I’ve used ‘information’ throughout above, because ‘knowledge’ and ‘understanding’ are things that higher education can act as a gatekeeper to – if you have good educators. But they are also things that the student has to play an active role in. It is not just a transmission; it is an exchange. There’s a further change emerging that also mirrors developments in the news industry: just as journalists are having to operate across multiple platforms where once they only needed one, so educators are having to operate beyond chalk and talk and the classroom as a platform for learning. If I look back at how my own teaching has changed over a decade I see this playing out year by year: email has become more widely used, of course, and universities have formally added VLEs (virtual learning environments) like Moodle and Blackboard. But over the years I have also started ‘delivering’ learning across an increasing number of informal platforms: student blogs; team content management systems; my own blogs; wikis; Facebook groups and pages; podcasts; and, of course, Twitter – which works particularly well as a classroom feedback system (where appropriate) as well as a way of coordinating students out in the field. When I started running a course through distance learning it was like dropping a print edition: the week-by-week rhythm that traditional teaching (and room booking) dictates was not necessary. Structure was still needed – but it was particularly liberating to be able to advise different students to study different areas in different orders, based on the projects they were working on. It was particularly interesting to hear Howard Finberg, at the EJC anniversary, refer to research that suggested such a hybrid approach “works”. In fact, the experience has informed my room-based teaching too: now I use each platform for what it’s best suited for – including classrooms (which are best for practice and questions, not transmission). In the next post I tackle a final change resulting from the changes in both industries: the relationship between industry and academia. Comments welcome on how these changes are playing out where you are. This entry was posted in blogging and tagged axel bruns, gatekeeping, gatewatching on June 7, 2012 by Paul Bradshaw.